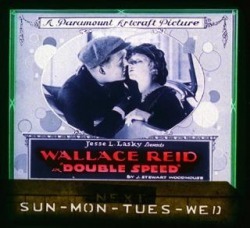 1919-1920 - The Films of Wallace Reid silent era films of Wallace Reid. 8). HAWTHORNE OF THE U.S.A. 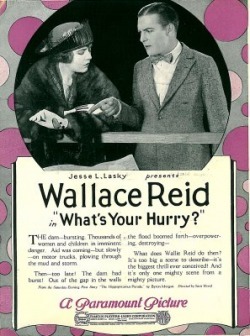 This is a significant film for Wallace Reid because, it is while shooting this movie that he and co-star Grace Darmond met an accident. He tried to shield Ms.Darmond from getting hurt and it was he who got hit on the head with an iron block. Instead of halting the shooting, the studio gave him morphine to deaden the pain so that production wouldn't be delayed. But from then on, the road to his addiction was paved.